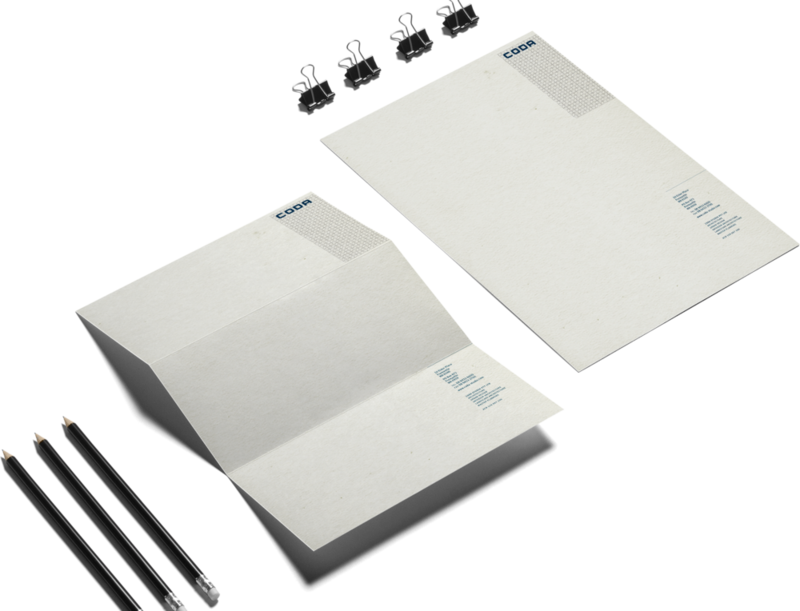 Redesign of corporate stationery suite for innovative, eco-conscious, ethical architecture firm in Fremantle, WA. 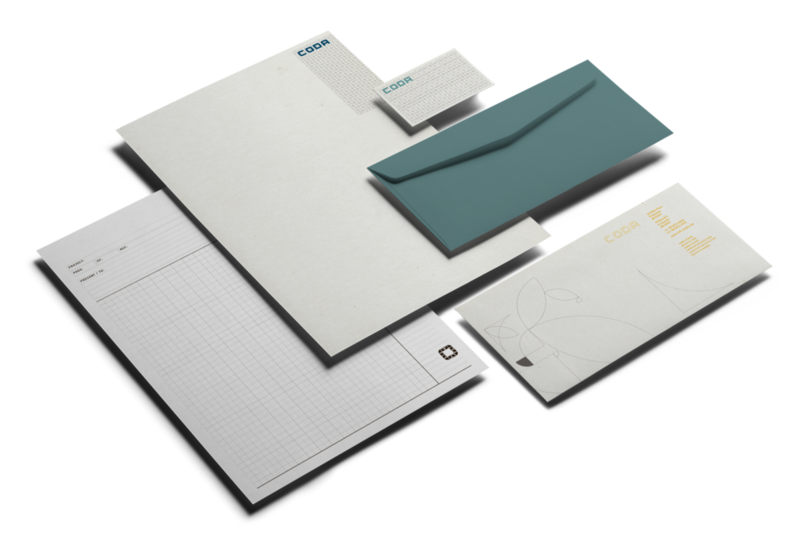 The director of CODA wanted a fresh, new look for their existing stationery, briefing me that the new suite needed to have a more pared-back, simplified, corporate look, whilst still showing a hint of the quirky CODA personality. Using their strong existing branding, we created some new patterns and applied a simplified colour palette to their new letterhead, business cards and compliments slip. The use of one or two colours on each piece gives a more corporate appearance, whilst the patterns, print techniques and uncoated paper stock maintain the earthy, innovative ethos behind this cutting-edge architecture firm.